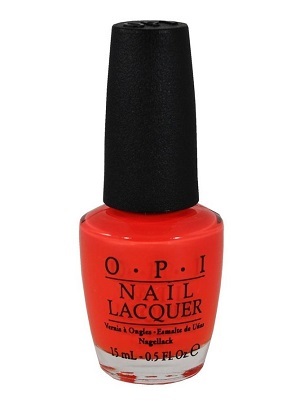 OPI Nail Polish, Atomic Orange, NLB39, .50 fl. oz. Bright hot coral orange creme nail color.